If you are not utilizing your garage, what are you doing? If you are like many people, your garage’s only function is to harbor junk and dust. There are an array of garage transformations that will ensure you are using your garage to its full potential. I’ve listed some links after each workshop idea so you can get more information if you are ready to get started today. If you know of any good resources for garage workshops, please let me know. 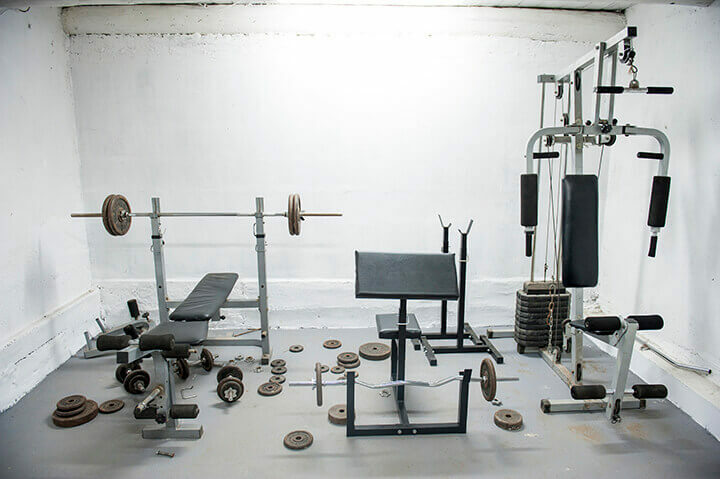 Although it is one of the more basic ideas, turning your garage into a gym can be undeniably beneficial. A treadmill, a weight bench, a few barbells, and a radio and you are on your way to that dream body. Face it, it will be cheaper than paying for a gym membership and you won’t feel ashamed when you skip a day… or six… because nobody will know! 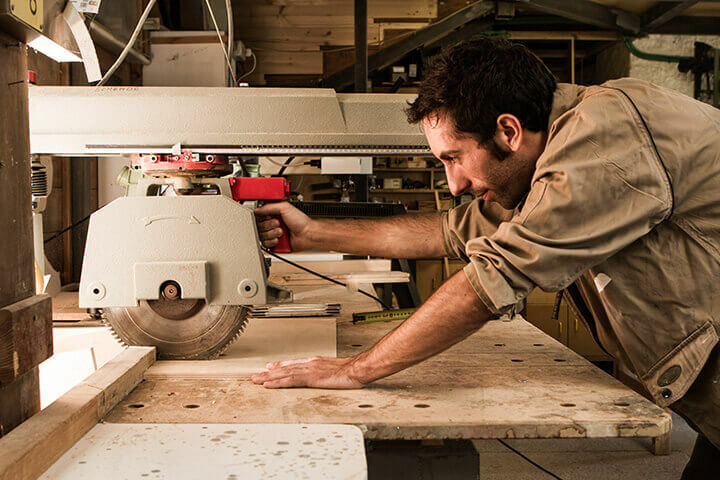 Whether you are already an expert woodworker or just a person that is interested in adopting it as a new hobby, a woodworking garage workshop will always be an interesting option. Chances are, you will have most of the basic tools and supplies needed for woodworking already in your garage. But, make sure you don’t forget safety! Despite having your own home workshop, you will still need gloves, safety glasses, and most importantly, your attentiveness while operating saws and other power tools! Smart shop layout in a one-car garage. Have a knack for phones, tablets, and computers? 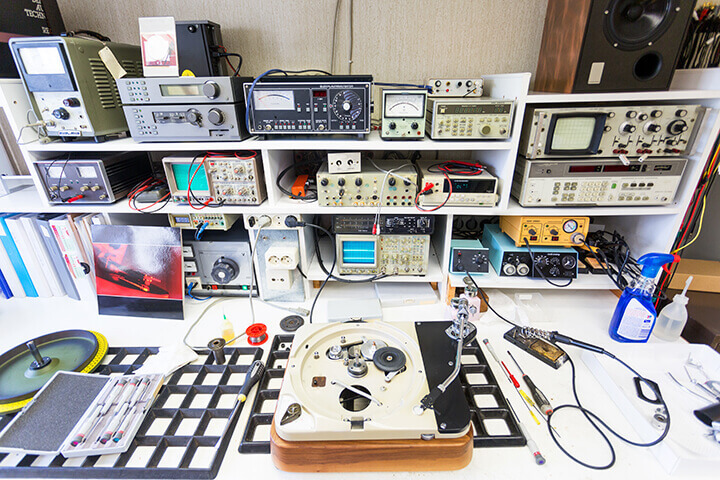 Turn your garage into your own electronics repair workshop! With a clean work area and the proper tools, there is no doubt that this would be lucrative. Putting out advertisements for your services could end up making you quite a bit of money on the side, especially from those in your neighborhood. Conversely, you could also purchase discounted electronics that need repair and resell them for a profit! 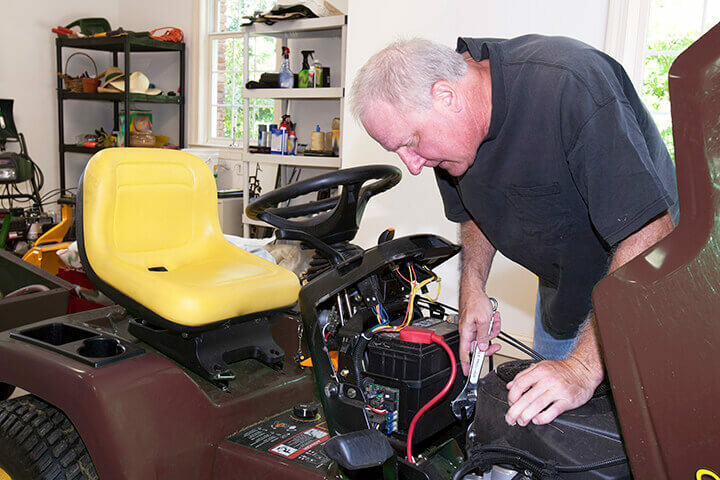 If you have knowledge in repairing lawnmowers and other lawn care equipment, turn your garage into a reparation studio for them. The requirements are quite minimal; a few jacks, a couple basic tool sets, and just a little willpower. In most places, lawn care equipment is only used seasonally, but there are ways to make this a year-long venture. Often, if it is nearing the end of the season and a person’s equipment breaks down they will sell it as nonfunctional or simply throw it out. In these cases, there is an opportunity for profit. Likewise, keeping an eye out for cheap, repairable equipment throughout the lawn care season will ensure that you have something to do during off-season. Working on cars is a pastime for many people. Whether it be on personal, family, or neighbor’s vehicles, if you possess the skill then put it to good use! 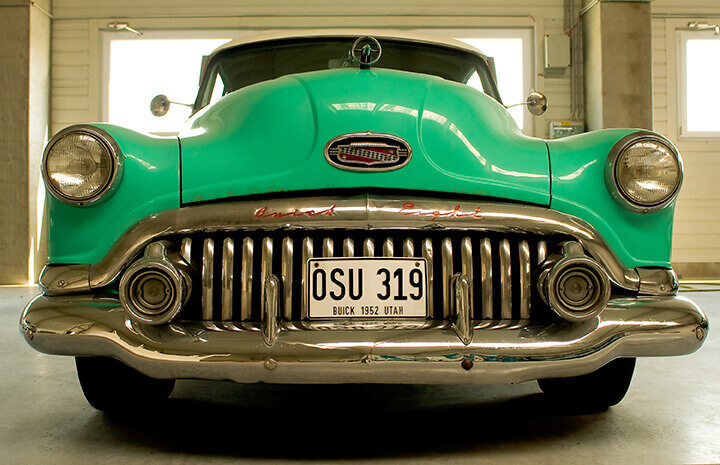 Turning your garage into a functional vehicle repair workshop is simpler than you might think. Of course, there are limitations to what you will be able to do unless you have an above average sized garage. But, with car jacks, a couple of appropriate toolsets, and a surplus of supplies such as oil and transmission fluid, you will have the ability to make many different repairs. Get an air compressor and tire plug kit and you will be able to offer temporary fixes for tires as well! While I do not foresee anybody turning their entire garage into a complete greenhouse, there is another way to make your garage an amazing place to grow flowers, fruits, and vegetables. Check online or make a call to your local farm store to learn what plants will thrive in your region and various seasonal points. With a few pop-up greenhouses (sold at most farm supply stores), plant heat lamps, and the basics (such as soil, plant food, and pots), you will be able to grow the appropriate plants all year long. 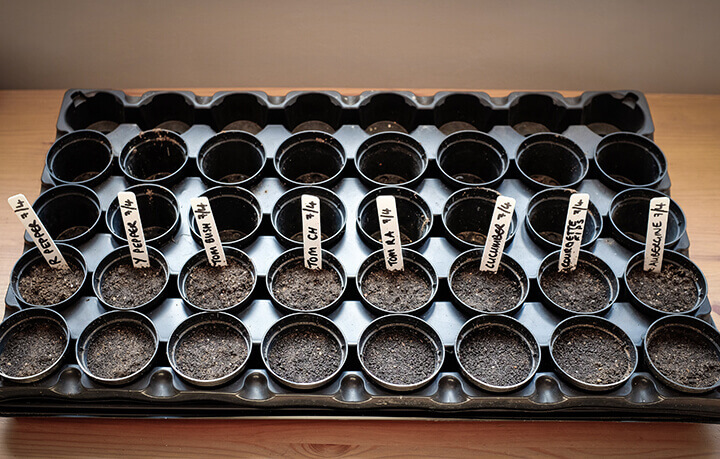 Whether you are doing it for profit or for your own relaxation, a garage planting workshop is a great idea. This option is just as unique as you! No matter what sort of games came to mind when you read the title, it is almost guaranteed that your garage can be transformed into a wonderful place to partake in them. 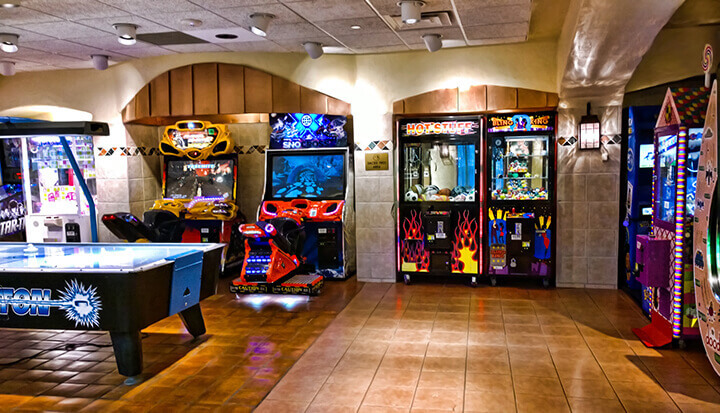 For example, if you would like an old-school arcade feel, start actively seeking functional arcade games online or locally. Add a popcorn machine for even more authenticity. Likewise, if you are a fan of card games, a nice card table set, and appropriate decor can turn your garage into the weekend poker hot spot. The opportunities are nearly endless! Turning your garage into your ultimate get-a-way spot is a no-brainer. With just a little work, you can have a nice relaxation spot that you feel confident in showing to your buddies. Put in a couch, mini-fridge, and a flat-screen TV for the ultimate experience. Add decor that showcases your personality such as sports memorabilia or catchy signs to make it all your own. 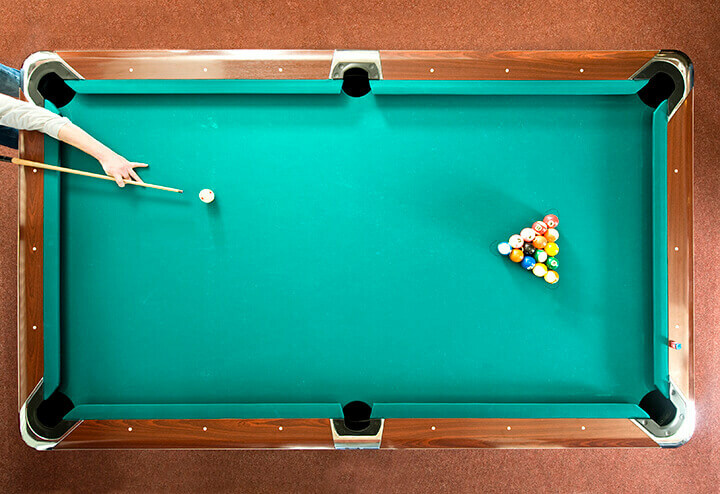 After all, it will be your man cave, so you-it-up! You would be surprised how many people are looking for someone to fix their furniture. If you can manage this, why not turn your garage into your own furniture repair workshop? Often times, people will need assistance in the realm of the reattachment of the legs of furniture or even just furniture assembly. This means that you will not need any super specified tools or equipment for this. Create a nice, clean work area that you can be proud of and the advertise your services for the best outcome. If you are not a fan of building your own furniture but enjoy sanding, painting, and reupholstering, creating a place to restore furniture could very well be the best option for you. If you are looking for a cheap alternative, some sandpaper and a basic paint brush set could start you off on the right foot. On the other hand, if you are looking to hit the ground running then purchasing a sander, a surplus of various paints and brushes, and a few different fabrics can assure that you are ready to restore virtually anything. 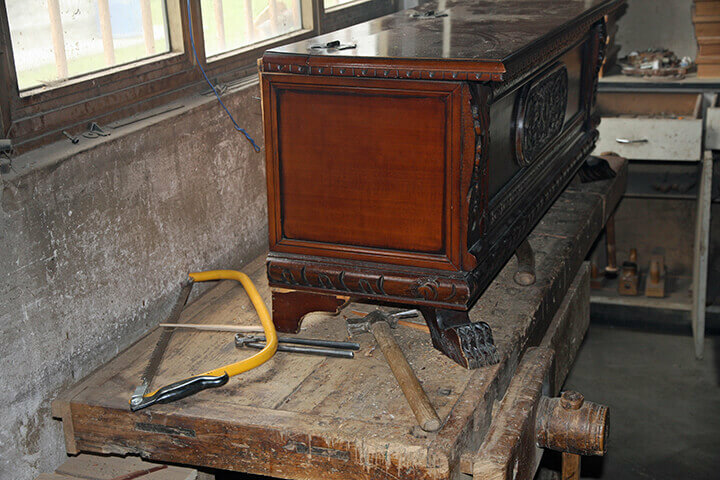 This can be a personal venture in which you find and restore furniture for personal use or to flip, or you can offer your services to others. As a trade that can be passed down from generation to generation, knife making is without a doubt interesting. Even if you have no experience in making knives, it is a rather simple process. You will need quite a bit of equipment though! A drill press, belt sander, and a place to heat treat the knives are necessary to have the best experience. Turning your garage into a knife making workshop is a great talking point and will provide you with many opportunities to show off your work. As a plus, there is a large market for handmade knives, especially if you have the ability to personalize them. This is especially great if your garage has windows or if you are comfortable creating art with the garage door opened to let in natural lighting. Having a place specifically for all your art supplies will make creating an even more pleasurable experience. Likewise, you can display all your works around you for reference and inspiration. 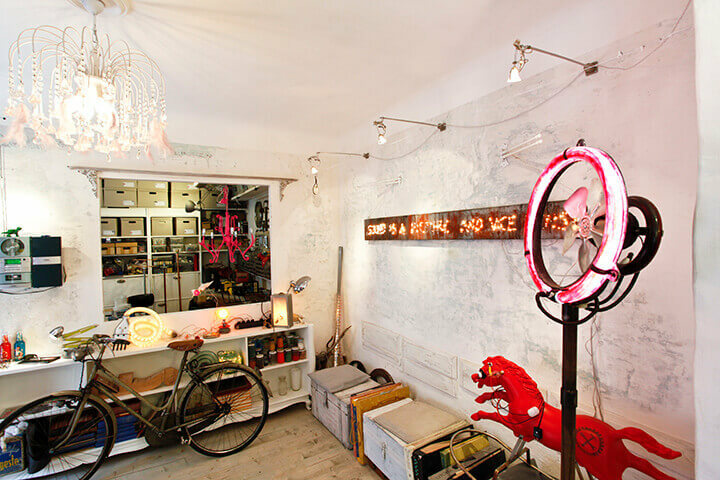 A glass blowing workshop can be another great use of your garage space. The most important aspect is making sure that you have the correct equipment, such as a proper furnace. Make sure that you can safely transform your garage into a glass blowing workshop beforehand, otherwise, you might be left with a partially functional workshop! Metalworking can take a few forms, so there are various necessities for what you might be interested in. As with most of the aforementioned options, you will need to make sure you have a clean and proper workstation to avoid injury. Tables and shelves that can withstand repeated contact with metal and high-quality tools that will be able to hold up to constant metal work are required. Otherwise, creativity and necessity will define what metalworking means to you. Much like all reparation workshops, an appliance repair workshop is extremely versatile. If you have the knowledge and skill set to repair appliances such as washers, dryers, and dishwashers, then it could be lucrative for you to transform your garage into a place where you can comfortably work on them. With basic tools and plenty of room, you could be on your way to becoming the go-to guy in your neighborhood when someone needs an appliance repaired. As an added bonus, you can also purchase and flip repairable appliances. Even though the goal is to rid your garage of trash, creating your own recycling sorting studio is a beneficial way to surround yourself with garbage. Color-coded trash bins and gloves are all that will be required. This is especially useful in an area that does not get recycling pick up. Let your neighbors know that you will be offering a recycling drop off for their trash as well. Once you have acquired trash, sort it into the proper bins and then take it off to your nearest recycling plant. You’re giving a meaning to your time through helping the environment. Far too often, animals are lost or abandoned and are left wandering the streets. Creating a place where you can harbor these animals until they can be safely returned to their owners or taken to an animal shelter is a very compassionate way to transform your garage. Setting up kennels and having a supply of animal food are the only bare essentials for this awesome garage transformation. Leashes, specific feeding and water bowls, toys, litter, and litter boxes will also be extremely helpful. Turning your garage into an animal daycare can be both fulfilling and profitable. Much like the temporary animal shelter option, the garage animal daycare will require kennels of various sizes, but most pet owners will leave specific food and toys for their pet. Those that are going on vacation, getting their house renovated, or otherwise need pet care are not uncommon. Plus, you will get to play with all the animals! Making a few additions to your garage can ensure that you have a fully functional and great animal grooming station. A bathing area would be the first priority, followed by a station where fur clean up would be as hassle-free as possible. Couple those with a great grooming set and you will be on your way to making the pets in your neighborhood as cute and comfortable as possible. Having the ability to cook well is an amazing skill, but sometimes it causes more disruption than necessary. If you like to try different recipes, a test kitchen is for you. In order to turn your garage into a place where you can cook freely, you will need to make certain that all electrical needs are met. Then, add a stove, refrigerator, and shelving. Once all appliance and storage needs are met, you can begin using your test kitchen for the uninterrupted cooking sessions. Backdrops, a quality camera, and sufficient lighting are all it takes to turn your garage into a photography workshop. Make sure there is a designated area where you can display your previous photos! While your garage will be your primary workspace and hold all of your equipment, there is no limit to where your photography takes place. If you have the ability to block all light from entering your garage, you have the ability to create your own darkroom workshop. Developing your own pictures from photographic film and paper is as interesting as it is pleasing. eBay, Etsy, and Amazon are all places where you can post and sell items online. Be it yard sale finds or items that you create yourself, you will undoubtedly require a place dedicated to conducting business. Having an organized workshop will ensure that your endeavor runs smoothly. A few additions that will help is putting up shelving and storage for the items you are selling, file cabinets for your records, and an area for your desktop or laptop. One of the most lucrative things you can do in life is couponing. While you can save a few bucks skimming through the Sunday paper, if you are looking to do it right then you will need a large area to work. Transforming your garage into a couponing workshop is simple, easy, and frugal! Organization is key, so have several different folders as well as a place to organize the folders. Likewise, create a spot with sufficient room to lay the coupons out and cut them. Books, without a doubt, take up an immense amount of room in your home. This is especially true if you are an avid reader. Transforming your garage into a place where you can store your books will be a great use of space. Despite the necessity of shelving, you can make additions that fit your liking. You can also apply carpeting or a nice rug and a couch to make it feel as comfortable as possible. If you want it to have a super genuine feel, demand that if anybody else wishes to utilize your garage library, they must be quiet! All avid collectors wish for the best possible place to display their treasures. Turning your garage into the perfect spot is easier than you may think! Essentially, it will depend on what your collection consists of, but starting with large display cases and/or shelves will be your first step. Then, you can organize and display according to your own wishes. Sometimes, a home may not have enough available rooms for you to have your own home office. If this is the case, but you find yourself bringing your work home with you more often than not, a garage transformation should be in your near future. A desk, computer, filing cabinet, and storage area are all you will need to make sure that you will have the room, as well as the privacy, you need to complete your work at home. Few things are as relaxing as watching a movie in your own home. If you crave the theater view without the poor theater experience, your garage is the perfect place for an in-home theater. There are a few options, such as a large television or projector and theater seats or couches, but no matter what you choose the premise remains the same. Add a popcorn machine and movie posters for a more authentic feel. What could be greater than having your very own bar? Utilizing your garages space by creating an at-home bar could end up saving you (and your friends!) a ton of money on social drinking. With just the addition of a counter bar and your favorite liquors, you are almost ready to throw a party for all of your friends. Complete your bar with a refrigerator/freezer combo, adequate seating, and plenty of bar decor. We all know that sometimes, the kids come first. If your children seem to be running out of room, or you just want to give them their own space, transforming your garage into a fun play place could be the right idea for you. You have complete control over what you want to be included. For example, a small slide or a ball pit can make the room feel more like a fun getaway rather than a place to play with toys. No matter what your desires or necessities are, you are sure to find a way to use your garage to your advantage.